The exquisite fibres of the famed mulberry silk can trigger regeneration of nerves and restore activity in limbs affected by traumatic injuries, courtesy a new technology developed by Indian scientists. A team of researchers at the Indian Institute of Technology-Guwahati (IIT-G) have fabricated tube-like hollow structures out of silk fibres doped with gold nanoparticles (GNP) to form surgically-implantable nerve conduits that can bridge gaps in nerves arising from injuries. The snapped links in nerves can disrupt muscular function in limbs and other organs. "We have developed a novel material as well as a new fabrication method for building nerve conduits. As the nerve regenerates, the muscles which it connects to also regain function, thereby resulting in complete neuro-muscular regeneration," Utpal Bora, Professor, Department of Biosciences and Bioengineering, IIT-G, told IANS. The team combined silk extracted from mulberry silkworm cocoons with gold nanoparticles so that the conduits had the strength and flexibility of silk and the electrically conductive property of gold. Since communications in nerves are transmitted via electrical signals across the constituent nerve cells, gold was apt as a doping material for the repair and regeneration process, the team felt. "This conduit mimics nerve tissue and then guides regeneration of nerve cells that form the nerve tissues across the gap. Nerve conduits are generally employed to treat severe nerve injuries where a portion of the nerve is lost leading to a discontinuity or nerve gap," Bora explained. Such serious impairments usually result from traumatic injuries (car accidents, splinters and the like) or from complex orthopaedic and neuro-surgical procedures, he said. "This can result in severe debilitating effect on patients like loss of functionality of the organs or limbs which the damaged nerve supplies. The inherent regenerative power of nerves allows re-joining of small gaps. However, nerve gaps larger than 5mm are beyond the body's ability to heal by itself," the scientist said. India is experiencing an increasing trend in injuries, particularly due to road traffic accidents at an alarming annual rate of three percent as per various research publications. The World Report on Road Traffic Injury Prevention indicates that by 2020, road traffic injuries will be a major killer, accounting for half-a-million deaths and 15 million disability adjusted life years (DALYs) lost. While autografts remain the clinical gold standard for repairing large nerve gaps, they are not always readily available and may have side-effects when sourced from donors, said Bora. But the silk-GNP conduits are totally compatible with the body (as evident from studies conducted on rats) since the use of the biomaterial in surgical procedures as sutures is a centuries-old established fact, he said. Because the nanoparticles are produced by a 'green' method using fruit and herbal extracts, this also addresses concerns of potential health and environmental hazards arising out of their application. 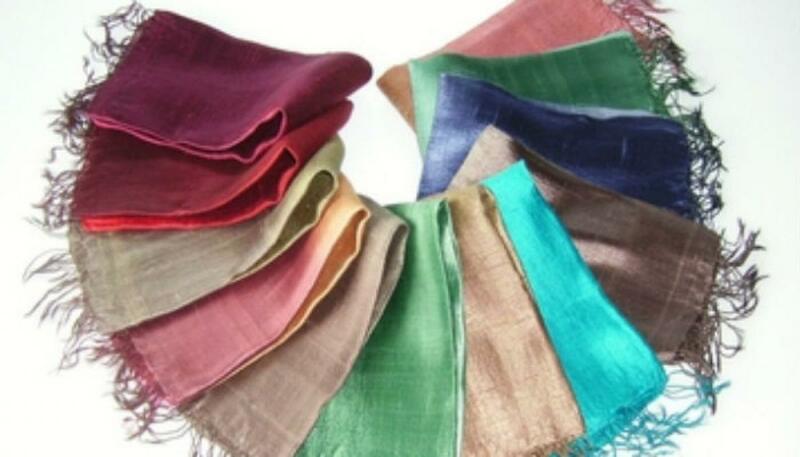 "It would be affordable and easily available as one nine-yard silk saree can yield at least 1,000 of such conduits. Eventually, the body will replace the structure with its own collagen without any harm," Bora said, adding the group has applied for an Indian patent for the innovation. The manuscript is now available online in the journal Biomaterials and will be published in September. The research team comprises Suradip Das, and Manav Sharma from IIT-G while surgeons and physicians Bibhuti Bhusan Borthakur, Dhiren Saharia, Kushal Konwar Sarma and Monalisa Goswami Sarma are the other collaborators from BBCI, Saharia's Path Lab, CVSc-Khanapara and Nemcare Hospital respectively. "The next step for us is to move towards clinical trials in humans," Bora said. Mulberry silk comes from the silkworm, Bombyx mori L. which solely feeds on the leaves of the mulberry plant. In India, the major mulberry silk producing states are Andhra Pradesh, Jammu & Kashmir, Karnataka, Tamil Nadu and West Bengal, which together account for 92 percent of the country's total mulberry raw silk production.